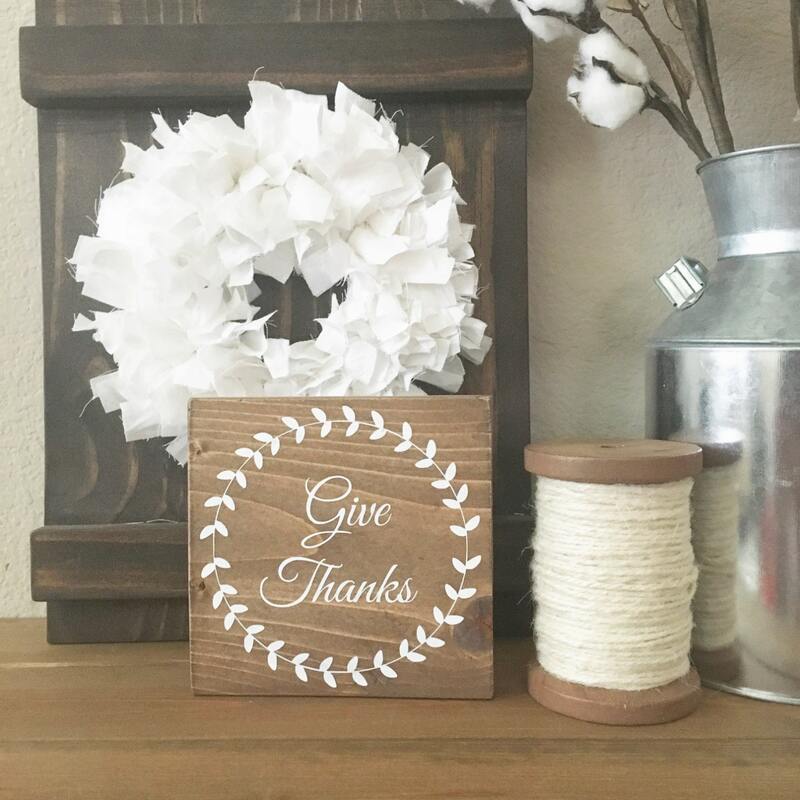 This "Give Thanks" sign is perfect for your everyday decor as well as a center piece during Thanksgiving. 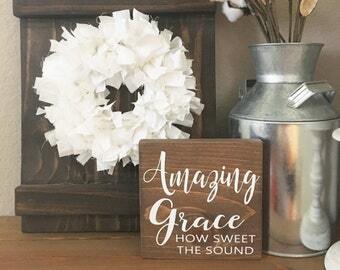 The sign measures at 5.5"x5.5" and it's made out of pine wood. 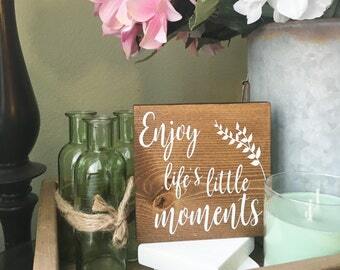 The sign has been stained in walnut and the text has painted with acrylic paint. The sign does not come with a saw tooth but you can request one during check out. Thank you for shopping Sawyer Leigh Boutique! Thank you! 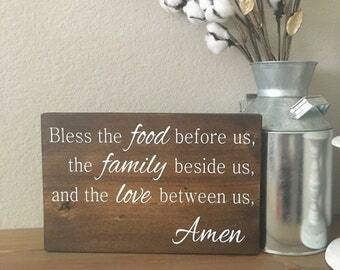 Love the decoration for Thanksgiving.